Can-Ar Coach, a division of Tokmakjian Inc., achieves not only quick and efficient transportation, but luxurious traveling, with their wide range of coach services. 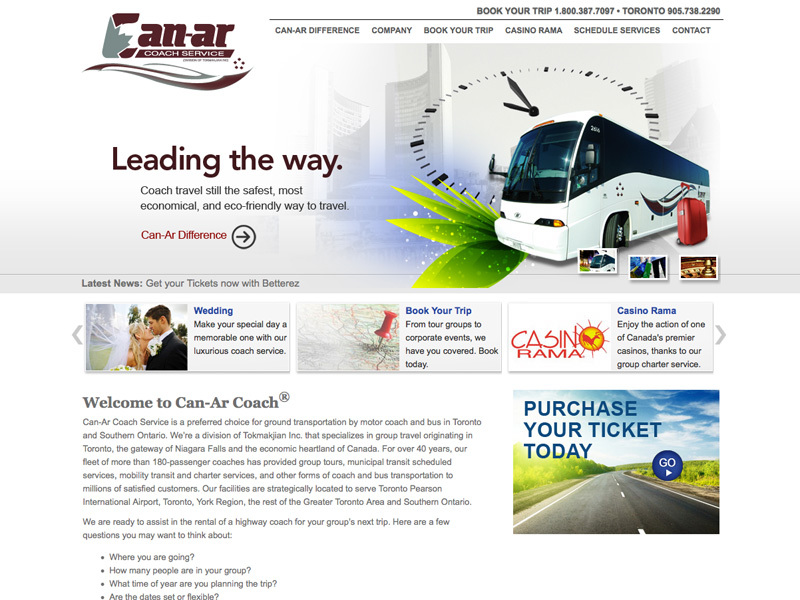 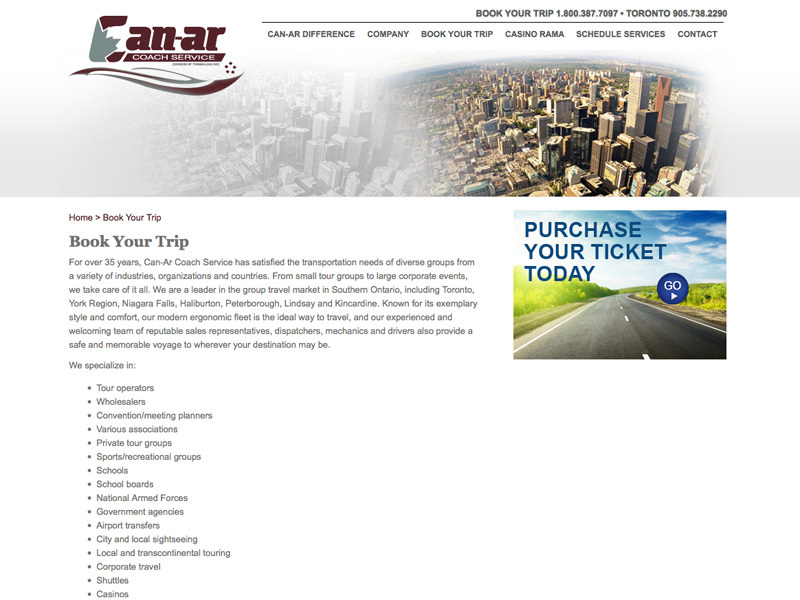 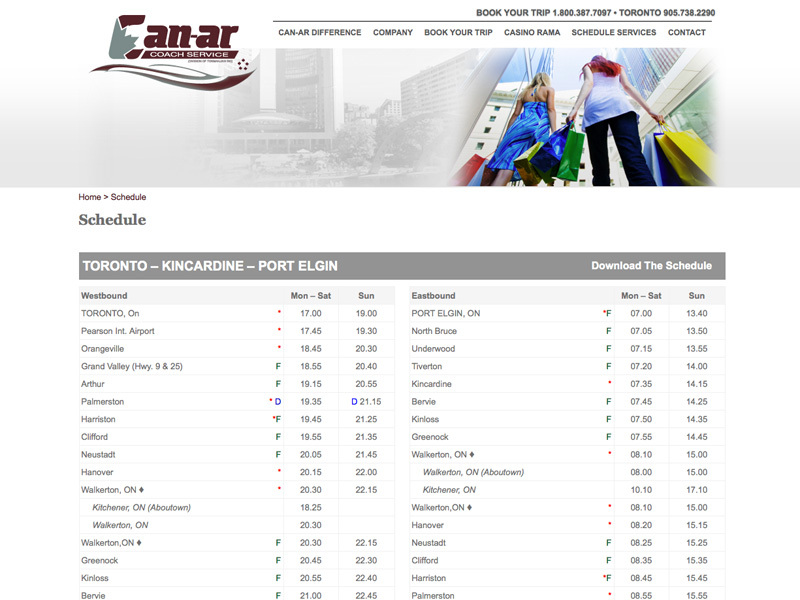 Reliable, comfortable and customizable, clients trust Can-Ar to make their trips memorable. At the Web Design Store, we recreated this efficiency and comfort in their site, which is easy on the eyes and easy to navigate.